There is a false narrative being put forth in the context of the upcoming 2020 Democratic presidential primary that argues for nomination of an experienced white male—in other words, an “electable”—politician. It’s an argument founded on the assumption that Americans are not ready to embrace a female candidate—or, better yet, one of color. Choosing a white male candidate is what party loyalists and establishment stalwarts claim is a “safe” option and one that offers the best chance of dethroning the despot who currently holds the highest office in the land. Numbers and recent polling data provide a sound counterargument to this widely-held belief. Indeed, they suggest that the democratic party might not just survive female, non-white nominee, but could be all the better for it. The aftermath of Hillary Clinton’s relatively unforeseen loss to Donald Trump fomented questions and concerns about what had gone so terribly wrong for a candidate whose victory seemed all but assured. Many of those who struggled to provide an answer to Clinton’s devastating loss clung to the argument that centered around the viability of a non-traditional candidate. Party leaders like former members of the Democratic National Committee expressed dismay about whether the country would rebound from such a seismic defeat. It is indisputable that women running for president are subjected to heightened levels of scrutiny. Discussions about their candidacies transcend the typical questions surrounding competency and experience, verging into the realm of personal life and perceived “domesticity.” Women perceived to be too tough are written off as cold and shrill; anything less is considered a sign of weakness or incompatibility for the role. A candidate like Hillary Clinton, for example, was criticized for how infrequently she smiled and for her husband’s sexual misconduct. It is foreseeable that the plurality of female candidates running in this upcoming election cycle will be subjected to similar—if not worse—attention. These sexist narratives are precisely the tools that are so often used to discredit women running for the presidency. Indeed, when women lose races—even by small margins—they are immediately written off as “losing” candidates. Stacey Abrams, notably, narrowly lost her race for the Georgia gubernatorial seat, but has been notably absent from the national conversation about potential presidential candidates. The race between Abrams and her Republican opponent Brian Kemp was marred with scandal and accusations surrounding the former Georgia Secretary of State’s mishandling of votes; indeed, despite the fact that she lost by less than 1.5 points, her feasibility as a potential candidate in future races has been seldom discussed—if at all. It is this fear of losing “viability” that I argue has led to a widespread dismissal of the feasibility of a woman (let alone one of color) winning the democratic primary. 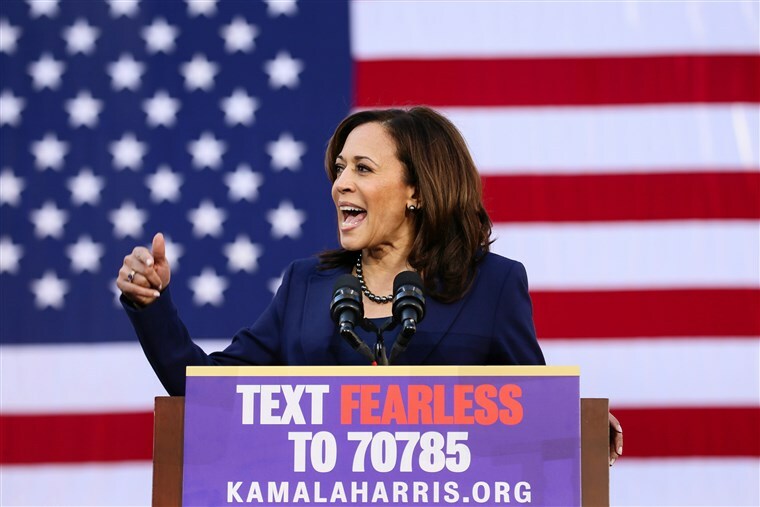 A candidate like Kamala Harris, for example, could make history as the first Indian-American and African American female presidential nominee for the Democratic party; yet, it is the flip-side of this potential outcome that many seem to cling to. Say she loses—will it set the clock back for other women of color who might seek the presidency? Or, will America welcome her candidacy with open arms, rejecting the explicit and implicit discomfort with candidates of color that many argue played a significant role in Stacey Abrams’ loss in Georgia? The perception that women of color are “inviable” or “ill-fated” nominees can be squashed by polling data. The numbers don’t lie: The 2018 midterms effectively demonstrate that voters are indeed willing to support female candidates of color—especially in regions and municipalities in which they are ethnically and racially disparate from the majority of their constituents. Across the country—in the midwest in particular—women of color won seats in Congress that in many cases represent communities that are demographically white and homogeneous. The Illinois 14th district, for example, elected Lauren Underwood—a black woman who worked extensively on the construction and deployment of the Affordable Care Act as a senior advisor at the United States Department of Health and Human Services under President Barack Obama. Her constituents are not racially diverse, and her opponent, Randy Hultgren, was a Republican incumbent who had served four consecutive terms and looks a lot more like the voting base she successfully captured. So why did she win? Her district is 85% white, and she was the first woman of color ever to run for the seat. Yet, she captured 52% of the vote against Hultgren in a historic upset that falls under the broad umbrella of an electoral “blue wave” of shocking triumphs across the country. Consequently, Underwood’s success is indicative of the fact that those living and voting in Illinois’ 14th district are not looking to elect people who simply look like them. It was her campaign promise to protect the Affordable Care Act and those with pre-existing conditions that propelled her to victory. Indeed, her race and gender ultimately played a small if insignificant role in her campaign and in how voters ultimately casted their ballots. Lauren Underwood’s victory is just one example in a sea of others that dismantle the oft-asked questions regarding a woman of color’s ability to run a successful campaign for higher office. A Gallup poll from 2015 on “electability” revealed that Americans were quite willing to vote for a female candidate of color—in fact, nine out of ten indicated that they would cast their ballot for someone who is “Catholic, a woman, black, Hispanic or Jewish”. Out of those surveyed, 92% stated that they would vote for both a woman and black candidate, respectively. More interestingly, about 90% of the subset of Republicans surveyed noted that they would vote for the same two categories—with slightly higher values for Democrats. A candidate like Kamala Harris won’t win in spite of or because of her race and gender. She’ll win based on her turnout operation and the strength of her message. America is ready to nominate—and perhaps elect—a woman of color from the Democratic Party. When posed with questions about her ability to compete for her party’s nomination, Senator Harris’ response is one that I find quite fitting: to discredit a candidate like her doesn’t give America enough credit—and doesn’t account for the seismic shift in the kinds of representatives that have already been elected across this country.